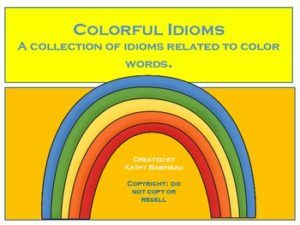 This is a quick figurative language activity targeting idioms about colors. Colorful clipart makes it fun and engaging. Hope you enjoy this free printable available at my teacherspayteachers.com store!